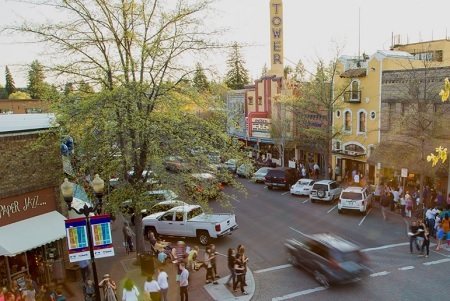 BEND, OR -- After two years of testing marketing concepts around “sustainable tourism” and an increased focus on community, Visit Bend Executive Director Kevney Dugan says the strategy shift will be long-term. "It’s formally adopting that way of thinking. I think some of these efforts and campaigns were things we thought we should be doing and really knew we should be doing, but didn’t really know how that would impact the way of thinking across the entire the organization." Dugan tells KBND News the Bend Pledge, which includes vows to be respectful of nature, responsible with fire and courteous in roundabouts, has been extremely popular since it was released as part of the "Visit Like a Local" campaign in 2017, "We’ve had almost 50,000 people take that or sign up for that. We’ve seen that model sort of replicated in other communities. So, I think there is an appetite, both from our potential visitors, as well as for our community to sort of adopt that way of thinking and also take a breather and say, ‘this is a community we love and we respect’." During the recession, he says, the focus was on "bringing as many visitors as possible to Bend" to help stimulate the economy. But, that's no longer necessary and Dugan says the new approach is about balance, "We’ve been thinking this way for a while. But, I think myself as well as the board and others, were sort of reluctant to really formally adopt that way of thinking. And, that’s what we’re ready to do now is say, ‘we’ve thought a lot about this, we’ve talked a lot about this, we’ve seen how the community has changed, we’ve listened to the community and this is what we think should be the way we think about this organization and its impact on the community’." Visit Bend will continue to launch initiatives aimed at conservation, visitor education and sustainability, and reinforce partnerships with land managers and conservation groups.